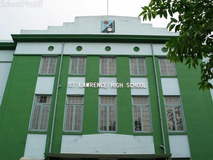 The school was established in the year 1954 by Late Hirendra Nath Patranavis and his wife Late Leela Patranavis, two visionary educationists having philanthropic ideals. The school was started in a rented house at 4A, Nandy Street, Kolkata 700 019 with a few teachers and about 15 students. In 1986, it was shifted to a building at 25/20 Prince Golam Md. Shah Road, Kolkata 700 095 owned by Late Leela Patranavis. The school received affiliation from the Council for the Indian School Certificate Examinations in 1988. 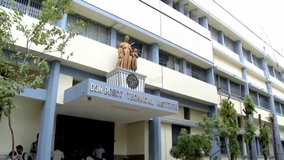 Eventually, the Primary and Secondary Sections were shifted to a newly constructed building at 49, Prince Golam Md. Shah Road, Kolkata 700 033. 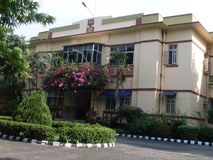 The ISC Section (Classes XI and XII) commenced from the year 1999 in the new premises. The school presently has strength of about 1600 students, 72 teachers and 20 supporting staff. There are classes from Nursery to XII, having three streams of study (Commerce, Humanities and Science) in the ISC Section. Entry Fee:-\n Nursey to V: 8000, VI to IX: 10000, XI(For existing students): 12000, XI(For students from other schools): 16000\n Transfer Fee:-\n Ordinary: 300, Urgent: 500\n Annual fee(Collected at the time of Admission/Re-Admission):-\n Nursery & Preparatory: 2700, I TO II: 3000, III to V: 3400, VI to VIII: 3700, IX (EVS Students): 4000, IX (Science Students): 5000, X (EVS Students): 4000, X (Science Students): 5000, Xi & XII: 5000\n Monthly tuition fee:-\n Nursery and prep: 650, I to II: 800, III to IV: 950, V to VI: 1050, VII to VIII: 1200, IX to X: 1300, XI to XII: 1600\n Admission charges:-\n For Old students/New Students\n Nursery and prep: 3350/11350, I - II: 3800/11800, III - IV: 4350/12350, V: 4450/12450, VI: 4750/14750, VII - VIII: 4900/14900, IX (EVS Students): 5300/15300, IX (Science Students): 6300/16300, X (EVS Students): 5300/15300, X (Science Students): 6300/16300, XI (For existing Students): 0/18600, XI (Students from other schools): 0/22600, XII: 6600/0\n For IX & X - Rs 800 for Computer & Rs 350 for Home Science will be charged additionally.\n For XI & XII - Rs 1000 per laboratory will be charged additionally. Best schools in Kolkata, Best schools in Ashok Nagar, Best ICSE schools in Kolkata, Best ICSE schools in Ashok Nagar, Best Coed schools in Kolkata, Best Coed schools in Ashok Nagar, Best English medium schools in Kolkata, Best English medium schools in Ashok Nagar.